Cadmium (Cd) is an environmental pollutant that can get entry into human body via ingestion of contaminated foods causing multiple organ damage. 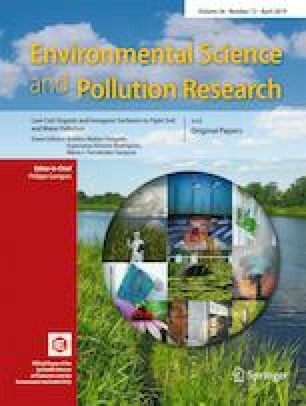 This study aimed at monitoring Cd residues in 20 foodstuffs of animal origin that are commonly consumed in Egypt. Health risk assessment was conducted via calculation of Cd dietary intakes and non-carcinogenic target hazard quotient. An in vitro approach was performed to investigate the constitutive effects of Cd on human hepatoma (HepG2) cells under food-relevant concentrations. Trials to reduce Cd-induced adverse effects on HepG2 cells were done using rosmarinic (RMA) and ascorbic acids (ASA). The achieved results indicated contamination of the tested foodstuffs with Cd at high levels with potential human health hazards. Cd at food-relevant concentrations caused significant cytotoxicity to HepG2 cells. This may be attributed to induction of oxidative stress and inflammation, as indicated by the overexpression of stress and inflammatory markers. At the same time, Cd downregulated xenobiotic transporters and upregulated the proliferation factors. Co-exposure of HepG2 cells to Cd and micronutrients such as RMA and ASA led to recovery of cells from the oxidative damage, and subsequently cell viability was strongly improved. RMA and ASA ameliorated the biological responses of HepG2 cells to Cd exposure. The online version of this article ( https://doi.org/10.1007/s11356-019-04852-5) contains supplementary material, which is available to authorized users. W. S. Darwish designed the study, conducted the experiments, drafted the manuscript, and interpreted the results. H. Chiba designed the study and interpreted the results. A.E. Elhelaly collected the samples. S.P. Hui designed the study, supervised the work, and interpreted the results. This study was supported by the Ministry of Education, Culture, Sports, Science and Technology, Japan.